After having decided to give up a “normal life” back in May 2013, Leentje and I faced the challenge to find a boat that suited our needs, as well as its purpose, and to “upgrade” it to ocean standards. It was quickly clear that we wanted an ETAP 39 to sail us through this journey, not only for her strong sailing capabilities, but also because she can not sink! Obviously, unsinkability is no guarantee to safe sea-faring, but it sure helped to “take the plunge”. Hence, we have spent the last months trying to tick off the boxes on the long to-do lists. 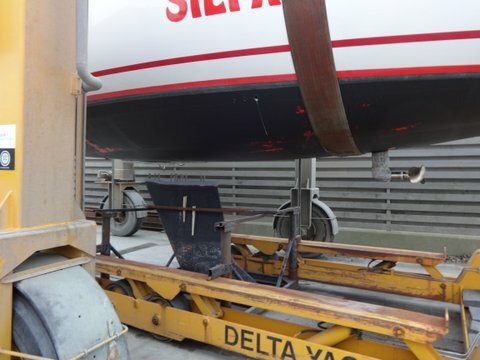 The most in-depth enhancement consisted in adding strength to the hull-keel construction. 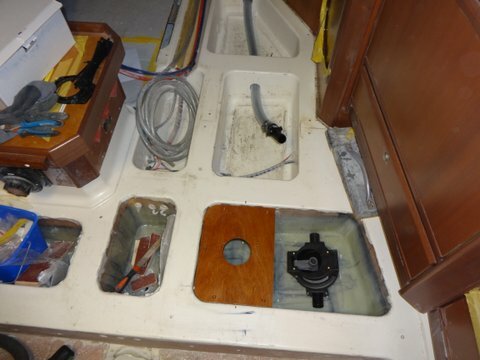 To that end Silmaril was almost completely stripped inside and her keel and rudder were removed. 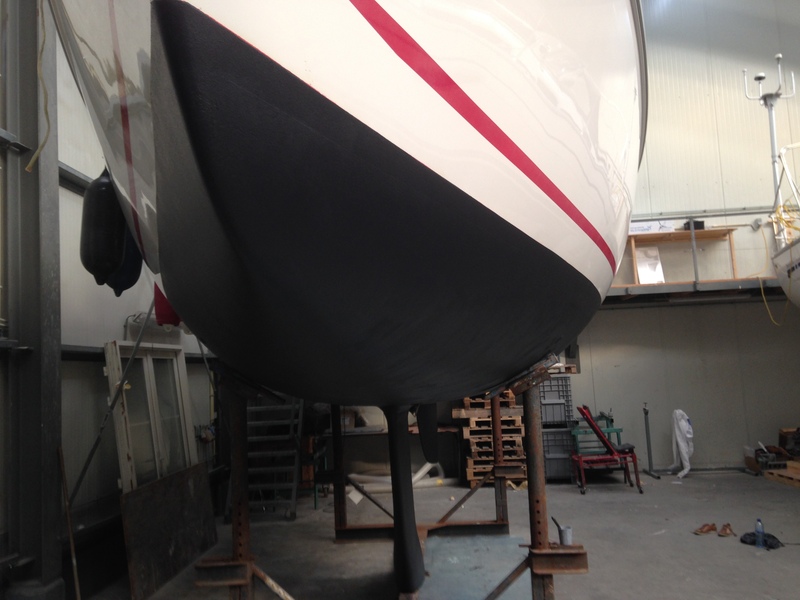 The bottom part of her hull was thickened with a layer of more than one cm epoxy! Next a lot of equipment, fitted for world cruising, needed to be built-in, ranging from solar panels and a wind generator, to a water maker, security gear (ocean raft, satellite emergency beacon, life jackets, etc.) and a self steering mechanism. The sails were checked and – where necessary – repaired and we bought a new genoa. Also the rigging was completely renewed. We are not done yet. 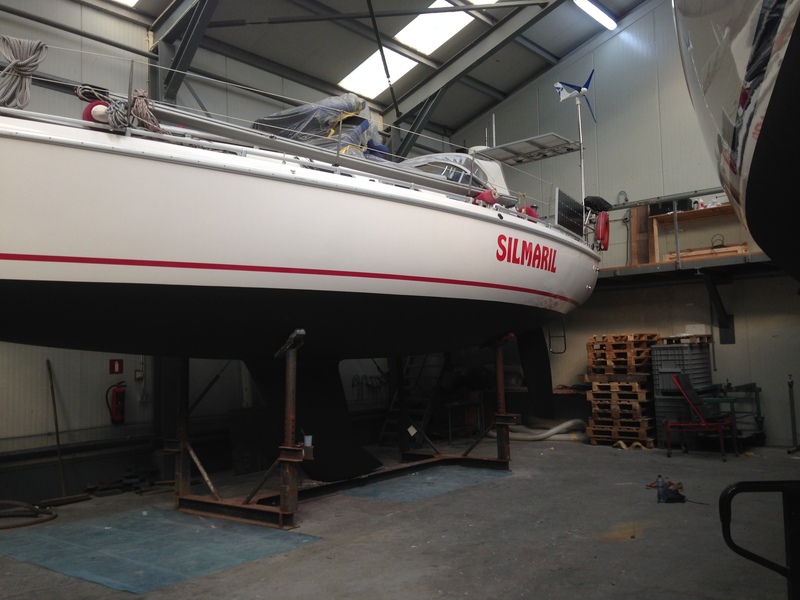 Silmaril is still on the hard, but at least with her keel and rudder back in place she starts to look like a sailing boat again. We are Leentje and Patrick. We have been cruising since June 2014 with the ambition to sail around the world. Een goede voorbereiding is de helft van het succes.